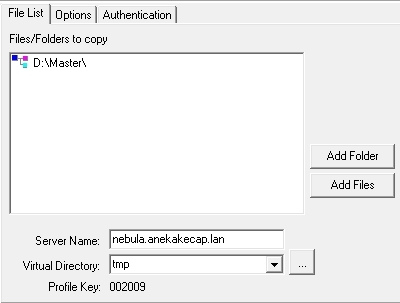 Step-01 : Create backup profile, Just give profile name as you like, in host name field insert with your rsync server name or ip, and for directory name insert with backup location (diretory) on your rsync server. 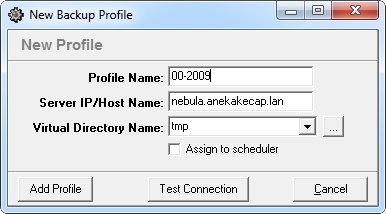 Don't check Assign to scheduler because we would like to use Cron.exe as Task Scheduler. 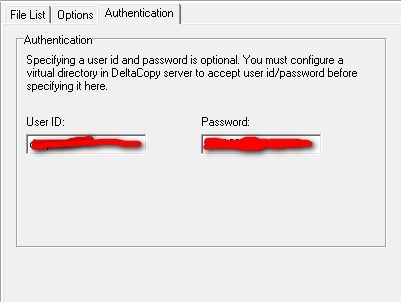 Step-04 : In authentication, put username and password that you allow to connect to your rsync server, this configuration is done on server side. 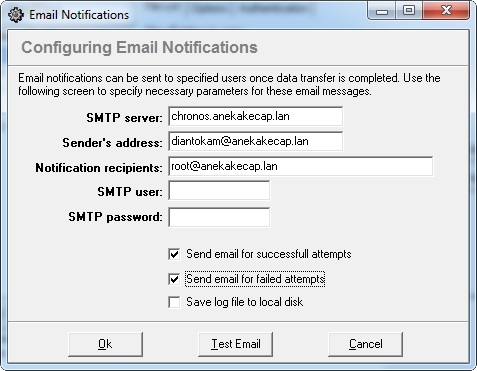 Step-05 : This is only optional choice, do it only if you want notified by email for every backup profile you created, in this example i use my local email server.